Ever wondered what Deptford pudding is? Or who produces Deptford honey? Or perhaps you are intrigued by English greengages? Alternatively you might just like looking at lovely pictures of food...! David Porter has recently started writing a blog about 'local food, wherever you are' and has named it Deptford Pudding because, as he says, he knows the recipe. He lives close to Deptford and has written about some very local foods such as honey produced on Deptford Creek and elsewhere; some that are a bit further afield such as samphire from North Kent; and slightly mysterious English foods such as bloaters, and liquorice. They are all fascinating posts which have been well researched and are accompanied by beautiful photographs which can't fail to set your mouth watering. 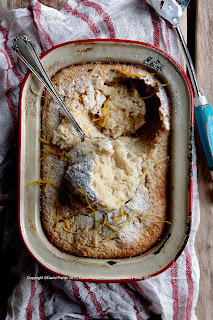 I think Deptford Pudding might be making an appearance on the menu Chez Deptford Dame in the near future.